In Bulumba Primary school sits a girl of 12. She has dark brown eyes, and she stares intently at the chalkboard and copies the text into her notebook. She stands as her teacher announces the second break of the day; her legs, too weak to carry her, are supported by a wooden cane that warped from the wear of the Ugandan land. And when the land is soft, sunken, and muddy from the rainy season, best friend Halima Mbeiza carries her on her back. Veronica Magooba carries a steadfast determination and independence with every step, but lack of proper resources means there are many things Veronica cannot do on her own, like gathering water from the closest water source. But that changed recently. This May, Lifewater established a handicap-accessible well for Veronica and her classmates. Students in Veronica’s class at Bulumba Primary now have safe water. 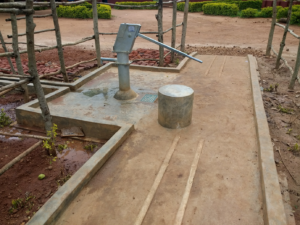 According to Peter Waako, Principal of Bulumba Primary, the handicap-accessible well is extremely rare, if not the first of its kind in Kaliro, Uganda. It is a beacon of hope for the disabled all over the region. 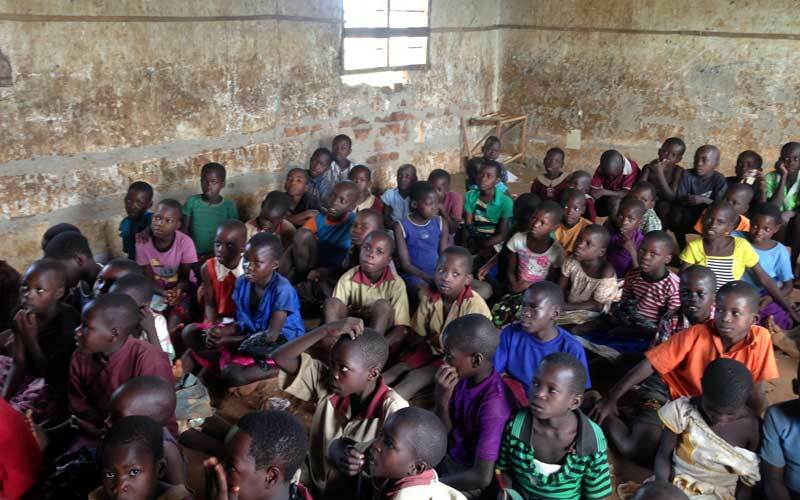 Over 90% of Uganda is still without handicap accessibility, and when it comes to education, children who are disabled are most likely to drop out of school due to lack of proper resources. Veronica is the third of eight children in her family, and she’s at the top of her class every year. Because of challenges such as these, Veronica used to be the only student at Bulumba with unique needs. Today, parents are coming from all over the region to send their children— both able-bodied and disabled— to Bulumba Primary. The pupil population has grown from 1,029 to 1,250. Veronica’s mother, Anastasia Nemulemo, beamed with pride and her eyes shined with tears as she recounted the dedication of her daughter. “Veronica likes to help with work at home even when she is in terrible pain. She is resilient,” she said. Anastasia, who also struggles to walk, works as a food vendor at Bulumba Primary to support school fees, making just enough money to keep Veronica and her older siblings in class. Despite the obstacles that Veronica faces, she dreams of becoming a teacher so that, one day, she can help children with disabilities. With the new handicap-accessible well and installation of safe, accessible restrooms, one of the many walls that Veronica once faced has been torn down. This handicap-accessible well has ramps on both ends and includes a concrete platform that children can sit on to pump water. This life-changing work is only possible because of the generosity of Lifewater’s supporters who give their time, funds, and prayers so that children like Veronica get a safe cup of water and the life-giving news of the gospel. To download the blueprints for handicap-accessible water projects, click here. FuturePolicy.org, The Right to Equal Access: Uganda’s Accessibility Standards via Uganda National Action on Physical Disability and the Ministry of Gender, Labour and Social Development (Uganda, 2010).